John is not only knowledgeable about taxes, but he explains things in a way way that they are easy to understand. He's also quick on his response time. I would recommend him to my friends and I would go to him again. John is a very excellent CPA. John is current on tax rules, procedures and very thorough in his work. He is extremely knowledgeable, dependable and timely. I will most definitely use John next year to file my taxes. John is very responsive and helpful in terms of what he needs. Great customer service and very thorough! John is extremely prompt and timely in his work. He provided great support, and was thorough in preparing our tax return. We had a complicated return, with multiple components (moving, business taxes, multiple itemized deductions), and it only took me a couple of hours of time -- he took care of the rest. 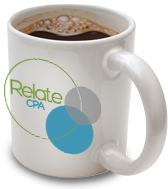 John is truly a premier CPA and software guru. His experience in software design and his thorough understanding of the tax code, even for the more intricate issues, put him on a tier above the rest. John has been consulting with me for over 10 years and has always made me feel informed, even educated due to his vast knowledge and expertise! Every year we do our own taxes with Turbo Tax. This year we purchased rental properties and the further we got into it, we knew we were in over our heads. It was less than one week to April 15th and the local accountant wouldn't return our calls. We found John through Turbo Tax and I felt the pressure lifting within a few minutes of speaking with him. We got everything to him and he was very knowledgeable and patient. He answered all our questions and responds quickly whenever we contact him. John is truly a professional and easy to work with. We really appreciate the time he took to get us through this deadline. John has been exceptionally responsive considering the very late request for his assistance. He is professional, polite, knowledgeable and helpful. I will be using him next year as well. John has prepared our taxes the last 2 years, and we have been very happy and satisfied with his work. Our tax return isn't a simple one as it includes my wife's business. His depth of knowledge about current laws, has been wonderful. He is very personable, and has been happy to answer tax questions that we have had throughout the year in a prompt manner. I highly recommend him. Personable and professional, John excelled and exceeded all of my expectations. He came to my house, put my fears at ease, explained my options with simplicity, and ultimately saved me hundreds of dollars on my taxes. I had been over-paying my state taxes for 11 years...last year I recieved a state tax return because of John's expertise. Oh how I wish I had John on board during those past 11 years...thousands of dollars could have been saved!